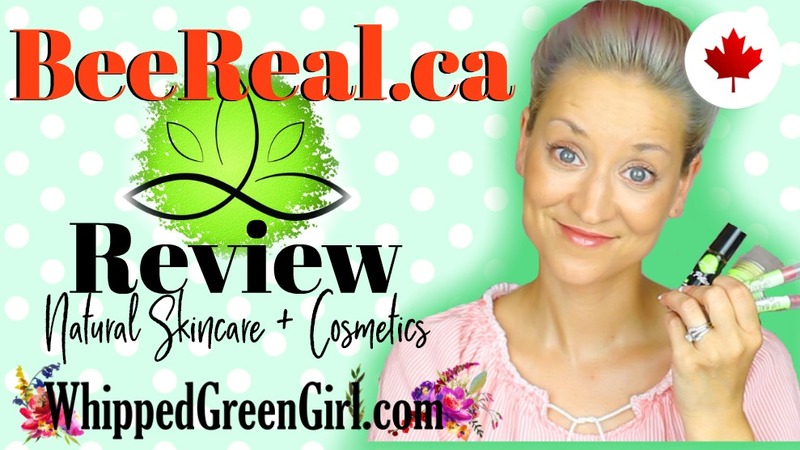 This, Bee Real Products Review is one I’m proud to share. Considering this brand comes from a little town I grew-up in (Cornwall, ON). What is Bee Real Products? Who Is Bee Real Products? Owned and run by a Reiki Master. Everything at Bee Real is handmade. Using only plant-based, healthy ingredients! Expect, essential oils for scenting. Plus, yummy pure oils and butters for moisturizing. Simple, easy to use, skin care and cosmetics for the entire family. 3 things are on my “top list” immediately! First, LOVE the “Love Potion #1” rollerball. A light, bright, perfume for your pulse points with the benefits of aromatherapy. Couldn’t find a direct link for this on their site. Maybe it’s seasonal? Next, the serum! REJUVENATING FACE SERUM is winning! ($30 Canadian) It comes in the perfect 10ml dropper bottle for application. You only need 3 or 4 drops to do your entire face. The neroli makes it smell yummy – fruity, fresh, flowery! Bee Real really has their scents on point! Not easy making stuff smell yummy using only essential oils. But they nailed that! Used this serum both day and night. My skin ate it up every time! Finally, Energizing Lotion Bar – topped my list too! $18- Why, it’s a perfect neck to toe moisturizer! Smells super fresh, you don’t have the hassle of rubbing the product in like a lotion. Since, it glides on to your skin and stays! So obviously, big fan of the skin care. The makeup is lovely too! Just don’t expect it to stay on for 12hrs like a heavily ingredient loaded Sephora product would. But it does the job, is affordable and MOST IMPORTANT healthy on skin! The lip balms remind me 100% percent, taste – shape, look, feel of Burt’s Bees Lip Shimmers. IF YOU FOLLOW MY BLOG – I’M A FAN! Glides on easy, moisturizes, but seriously gives color! Out of the eye-shadows, I’ve been reaching for the mother of pearl most! Maybe cause I’m a sucker for those light, shimmery shades- been using it as a highlighter, as much as an eye-shadow. LAST BUT NOT LEAST a perfect, peppermint chap stick – great base for BEE REALS colored lip balms too! I always need a good, plain ol’ lip balm with me. This little guy served my lips well! Hope you enjoyed my latest skin care find. Check-out Bee Real Products on BEEREAL.ca! Another healthy, Canadian company – helping clean-up the dirty cosmetic industry! If you’re a fan of DIY skin care as much as me – also check-out my friend Cieloscent’s podcast – SkincareTalkRadio.com. I learn so much from her FREE podcasts. She’s been a great inspiration for anyone hoping to clean-up their skin routine! That’s a wrap, thanks for reading or watching my Bee Real Products Review- until next time!